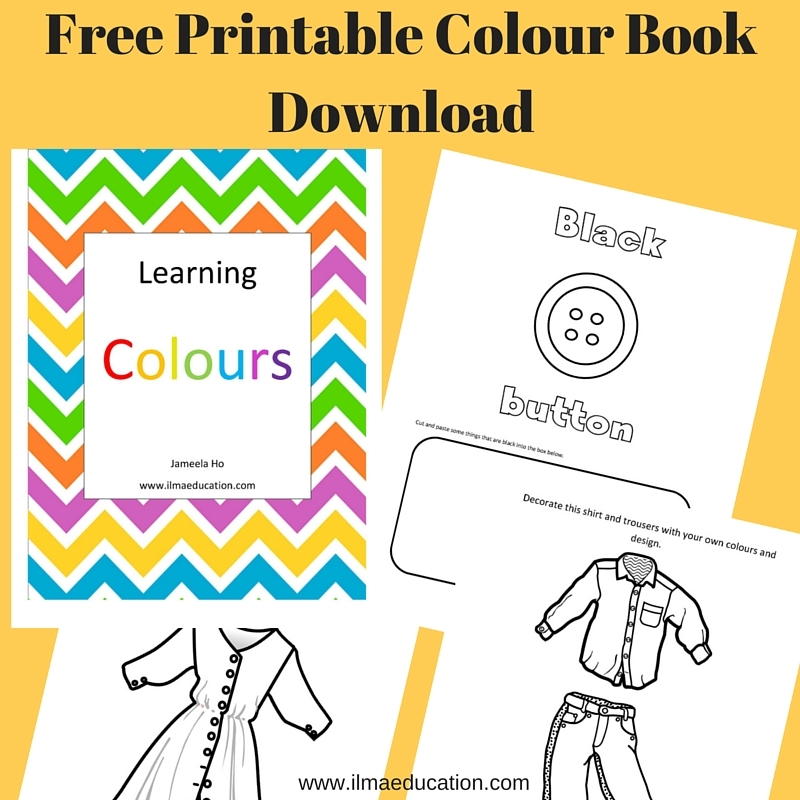 Learn the colours with Ruqayya and Rabeah as they decorate a dress for Eid. 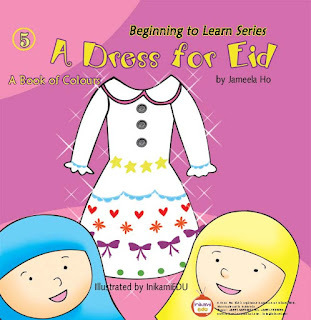 A Dress for Eid was originally a board book. It was book number 5 of a set of 5 books from the Beginning to Learn Series. It was printed in 2008 but have since ran out of stock. 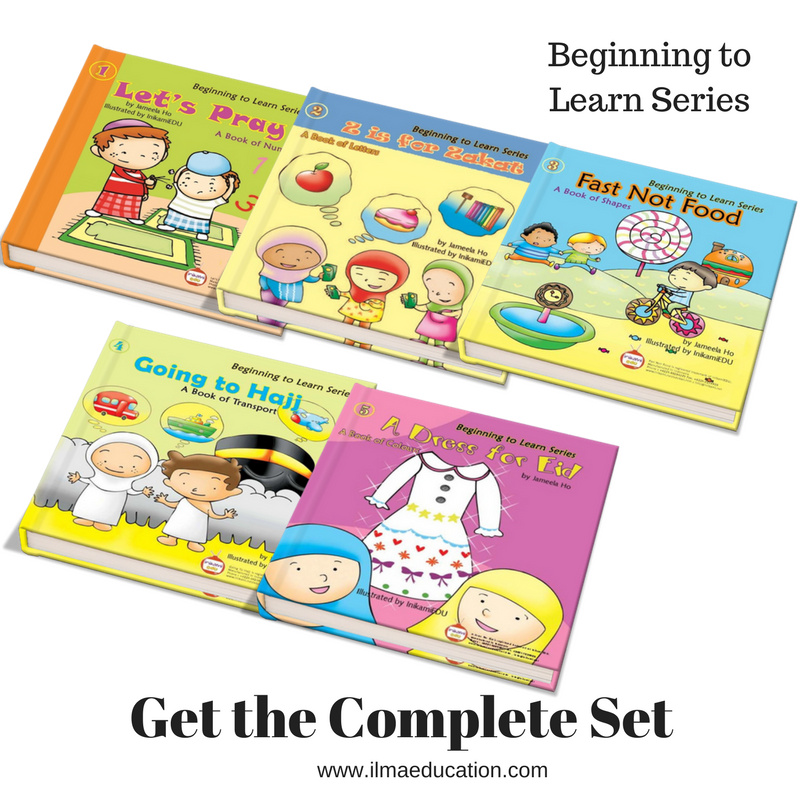 It was a popular set of books to read to young children as it taught them about basic concepts such as numbers, letters, shapes, colours and transportation through the pillars of Islam. This particular book, A Dress for Eid, teaches children about the colours, namely pink, black, yellow, blue, red, orange, purple and green. As you can see from the pages below, two little girls, Ruqayya and Rabeah, are looking for coloured things to decorate their white dress to make it special for Eid. Join them as they get ready for Eid with an up-cycle dress. 2 page view from the board book. 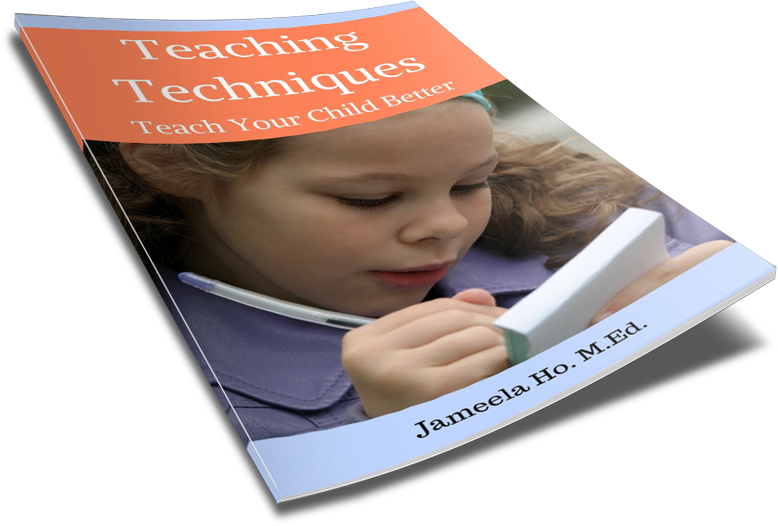 The kindle version will have a one page view and have pop up interactions. 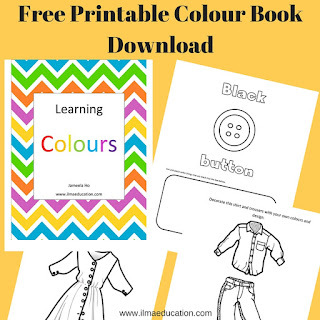 To complement A Dress for Eid book and help your child with learning the colours, I have created this printable colour activity book for you to download. These are the pages inside this activity book. There are 10 worksheets. 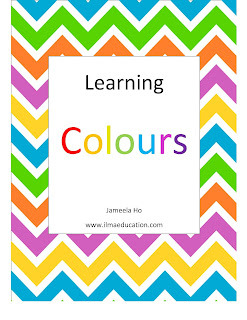 They will help your child to recognise and look for colours and also to cut and paste. 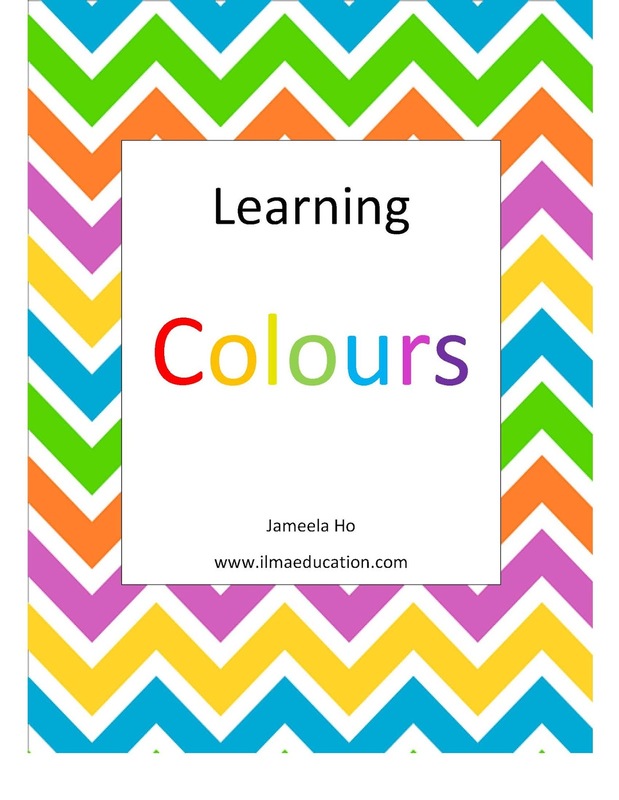 To read more about Book 2 of the series, Fast Not Food, click here, where you can also download a shape activity book for free. 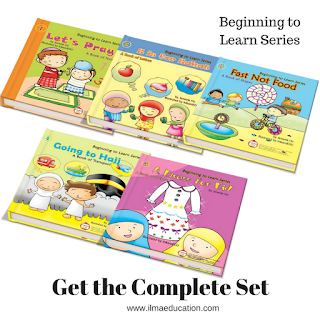 To get the complete set of Beginning to Learn Series in PDF, click here. really looking forward to read and review it. Great effort.A good book for children.. This looks really cute :) I love that kids can enjoy it whilst also having an Islamic influence too.